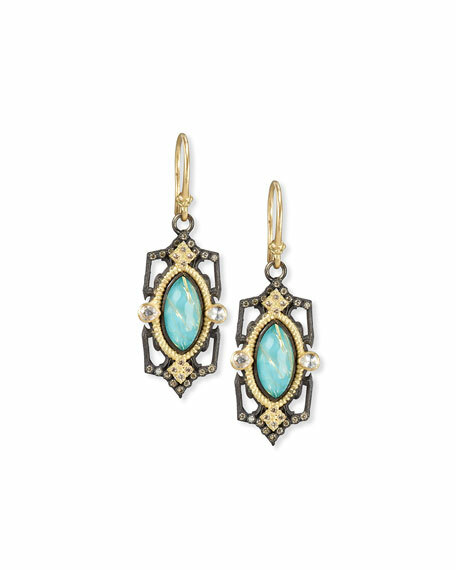 Armenta earrings from the Old World Midnight Collection. 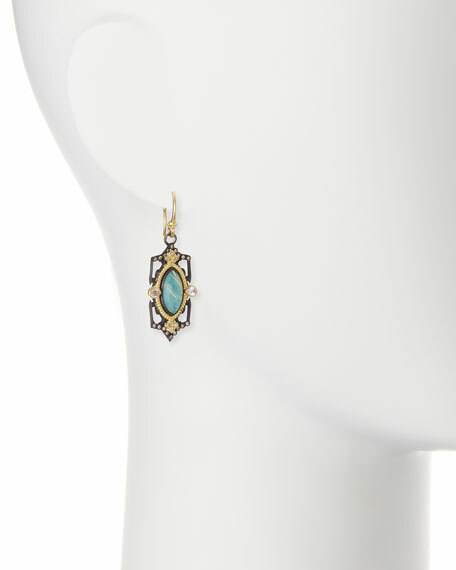 Marquis-cut reconstituted blue turquoise and rutilated quartz doublets. Bezel-set champagne and white diamonds. For in-store inquiries, use sku #2098510.